Now, we are ready for part 4: a run-down of financial mistakes to avoid as you finalize your budget and financials. If you have not already,download our costing template for free. This is the same template we use with all of our customers and will help you put together a solid financial plan and confidently approach manufacturers. 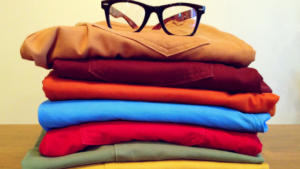 In part 3, we went over the different approaches to pricing garments. One way is to take your ideal retail price point and work backward. As you cost materials and run the production numbers, it is always good to keep that pre-cost estimate in mind and balance it against your original budget. Your pre-cost estimate will help you hone in on what is essential to your design vision and keep a level head throughout the hectic development and production process. Just when you thought you were done with one costing template, here comes a few more. The truth is that each style you develop will need its own costing analysis just as it will need its own tech pack and production order. It does not matter if you are using the same fabric or product elements, the overall cost of each item will vary according to its parts. On the bright side, you can use our costing template to cost out every style you are developing on the same spreadsheet. The more you do it, the better you will get. Fabric, cut, and sew are obvious, but did you forget to include hang tags, poly bags, or size labels? How about interfacing or stabilizers? The devil is in the details, and you cannot manage your financials and build your brand unless you have correctly documented every cost. The cost of a single poly bag may be minuscule, but don’t forget you have to multiply everything by 3 to 4 to arrive at a retail price and manufacture hundreds to thousands to understand your true overhead. A costing sheet is not a static document. It should be updated after every meeting with your development house or manufacturer. Fabric costs may go up and production numbers may go down. Anything could happen. 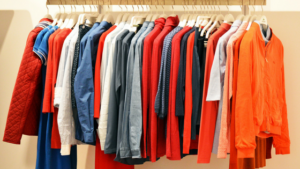 Plus, if you are selling to retailers, you also need to consider their retail markup. Your eye should stay on the ideal retail prize point up until your patterns are approved. It is typical for new fashion designers to bite off more than they can chew. That long-time fantasy of becoming a designer is becoming finally true. That excitement can lead to collections that are large, unwieldy, and expensive. We recommend narrowing your collection down to as few pieces as will establish your vision and brand. It will save you time, energy, and money, allowing you to do a few things right rather than a lot of things poorly. Your early success means more funds to reinvest in a larger collection, not to mention the confidence that comes with experience. We mentioned this in an earlier blog post about mistakes we often see our clients make when it comes to building a fashion business. Businesses thrive on momentum. It is crucial that designers put any early profits they make back into the company. Ultimately, businesses need stable revenue to make the long-term decisions that are needed for sustained growth. Every season, use the profits from your sales to invest in more development, production, and marketing. The fashion industry spans the globe. Your fabrics could be coming from Japan and your trims from India. You cannot always be sure what your costs will be until your credit card is charged and your goods are on hand. One way to get around this is to multiply the total cost of your materials by 10%. Another way is to work exclusively with domestic sources. As mentioned above, make sure to update your costing sheet as soon as you know the final amounts. Are you ready to take charge of your fashion business’s financials? Read the first three posts in our budget & pricing mini-course (part 1, part 2, part 3) and download our costing template for free. This is the same template we use with all of our customers and will help you put together a solid financial plan and confidently approach manufacturers.